Click the button below to add the 3630A Series Single-Stage High-Flow Corrosion Resistant Regulator - SS, Hastelloy to your wish list. High purity, single stage regulator with tied diaphragm and Hastelloy trim for use with low vapor pressure corrosive gases. 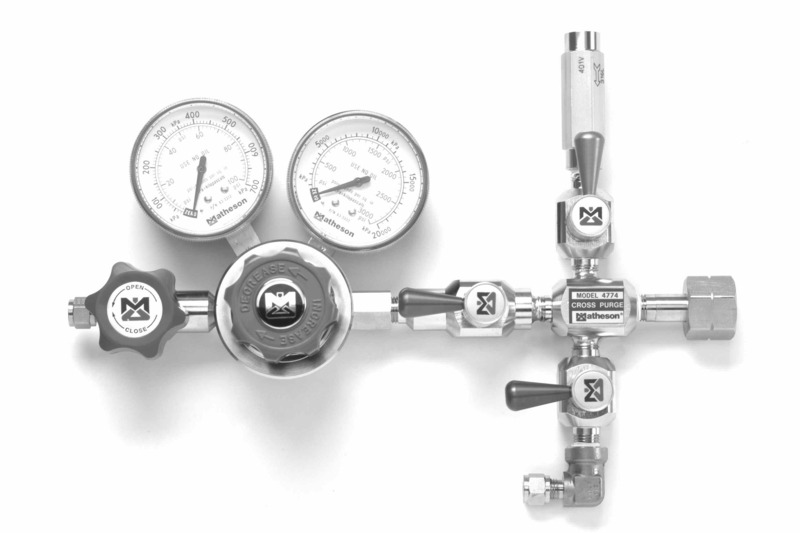 MATHESON strongly recommends the use of a cross-purge with any regulator put into highly corrosive or toxic gas service. You can easily add a cross-purge to this model regulator by selecting "Yes" for the Cross Purge option above. 12 months limited warranty. See MATHESON terms and conditions for details.